My birthday falls in the middle of the week this year, so we have moved the party to this weekend. I like to have barbequed lamb, but the “spare the air” alerts have been almost constant this winter. Jan pointed out that next Friday is Chinese New Year and that we could use that as the theme. Note: This post ties together my last nine posts. 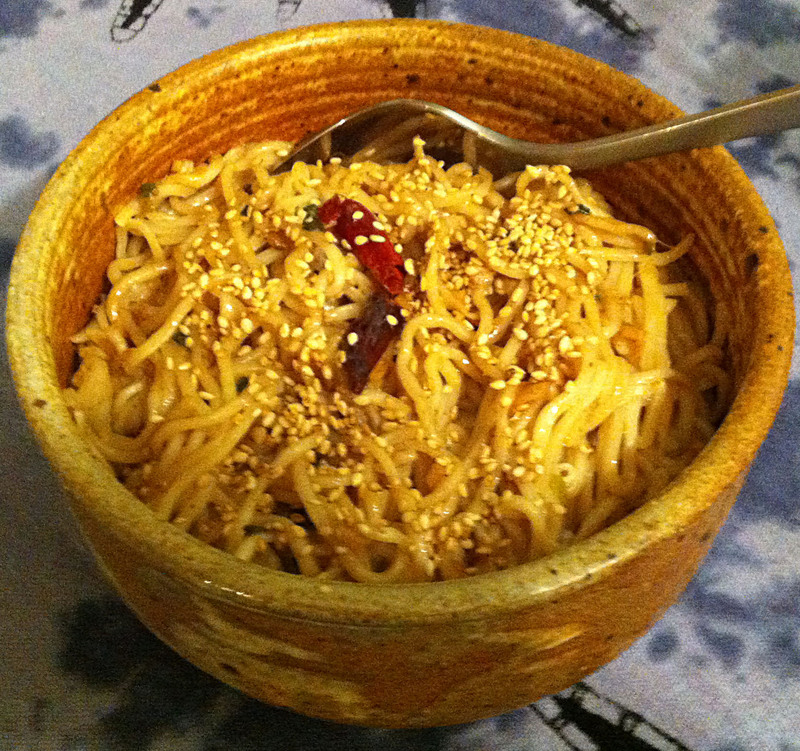 Each post covers one of the dishes I selected to make for my birthday/Chinese New Year’s dinner. In this post I try to explain my thinking in selecting each dish for this feast. I am not Chinese, I am a Californian. I feel free to borrow other peoples’ cultural traditions and adapt them to my own use—that is part of our Californian cultural tradition. It is just a bit early, but Xīnnián hǎo (新年好; Happy New Year). The Chinese language is tonal. The same sound with a different tone can be a completely different, unrelated word. As a result of this, there are a lot of near-homophones in Chinese and the Chinese make a lot of symbolic connections that are unexpected to the Western way of thinking. Lamb is an auspicious dish for my family. It is kind of a Lueck thing. 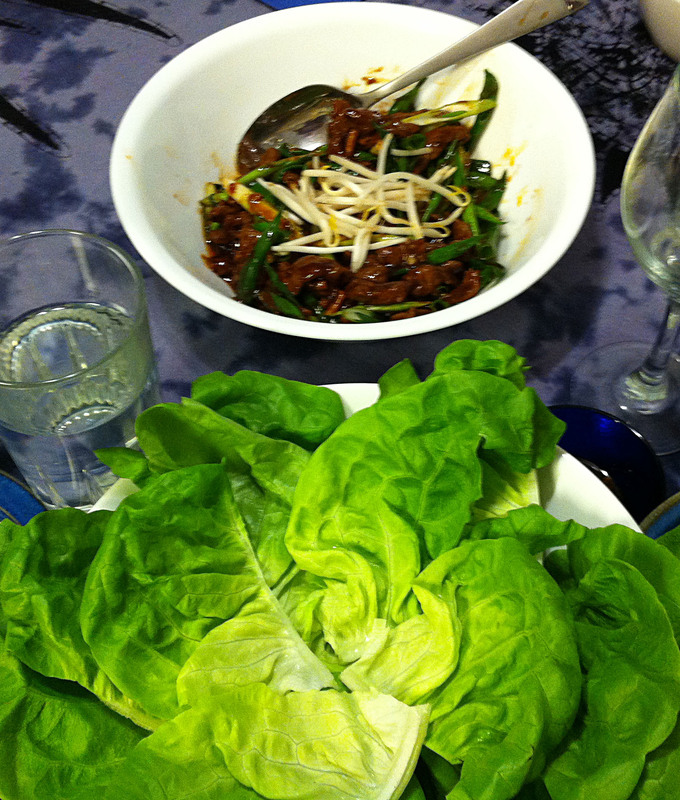 To stretch a cultural barrier, I plan to fill my lettuce wraps with Mongolian lamb. Note: You may notice that some Romanization of the Chinese characters on this page have accent marks and others have superscript numbers. This is because of the differences between Mandarin and Cantonese. These are two totally different languages that, through historical events, share a common written language. Mandarin has four tones, which are easily marked with accents. Cantonese has 7-10 tones, depending on the dialect, and these are marked by numbers. The markers tell you which of the two major Chinese languages (ignoring the 54 other languages of China) is being translated. Noodles (面条; miàn tiáo) symbolize long life in China. Longevity Noodles are usually served as a soup, but for my meal I will go back to my time in Chengdu and make them as Sichuan cold spicy noodles. This is a dish that has significance to my family. 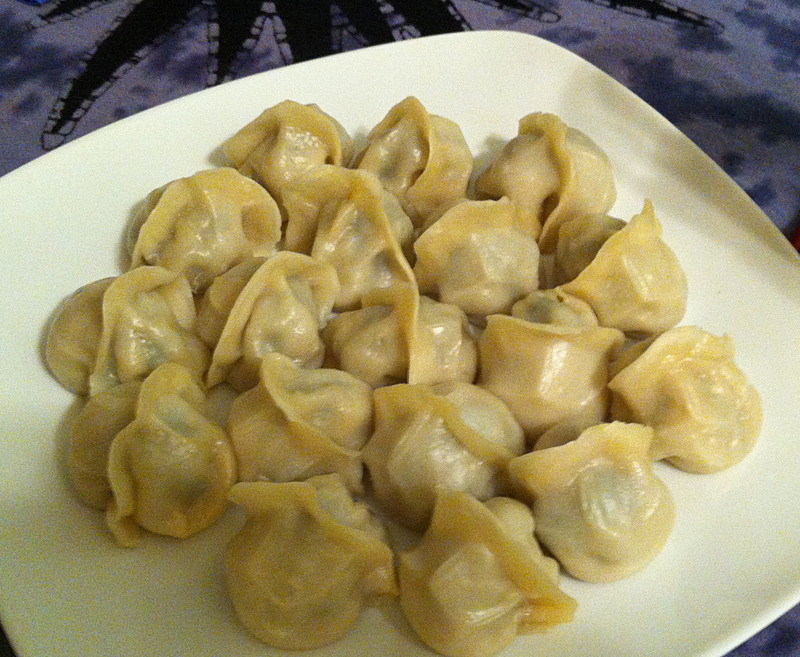 Jiao zi (饺子; dumplings) are another auspicious dish. The crescent-shape is a symbol of wealth and prosperity because they look like the silver ingots that were used as money in ancient China. These dumplings are another wrapper that can be filled with anything you like. Chinese garlic chives (韭菜; jiǔ cài) symbolize eternity/long life. shrimp (小虾; xiǎo xiā) represents happiness and good fortune, and pork (猪肉; zhū ròu) is for strength, wealth, and abundant blessings. Note: My jiaozi seller’s shop is in next to a Japanese supermarket, so she sells them as gyoza. Making jiaozi is a long and labor intensive process. I am going to take a short cut and buy the shrimp, chive, and pork jiaozi from a woman from Sichuan that sells them nearby. Even in China, unless you are having a jiaozi party on New Year’s Eve, where everyone helps to make them, most people run down to jiaozi seller riding by on her bicycle truck. 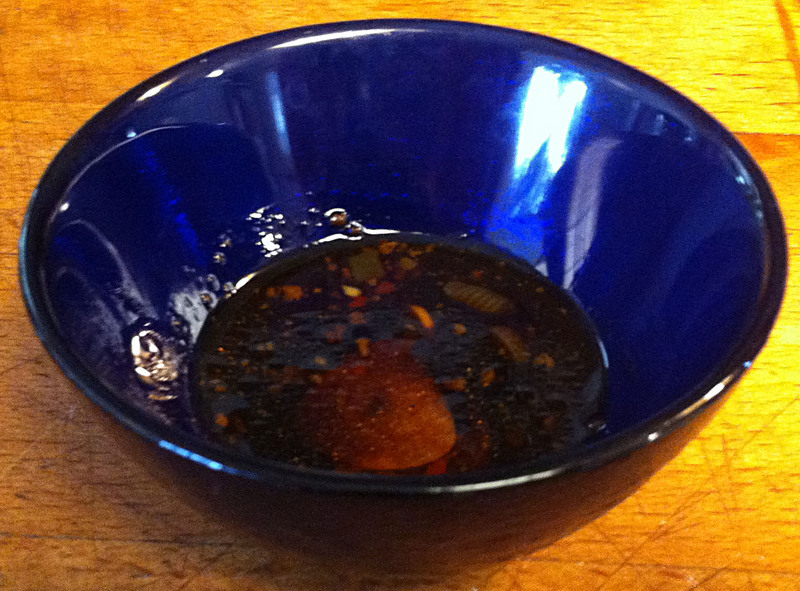 I do, however, make my own dipping sauce. Shrimp (小虾; xiǎo xiā) are a symbol of happiness and good fortune. One reason for this is that the shells turn red, a very auspicious color for the Chinese. 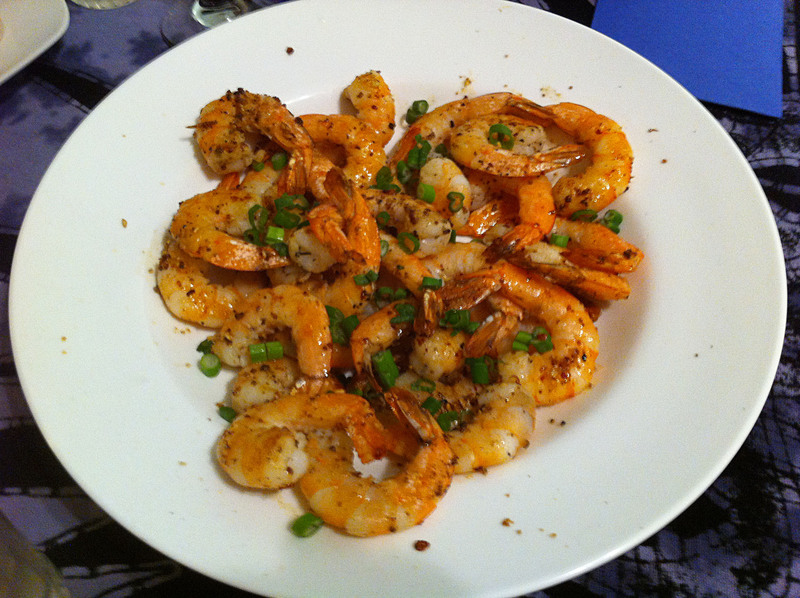 When my son-in-law, Chris, heard about the Szechuan Salt & Pepper Shrimp that I had made last week, he requested that it be added to the menu. If you do not serve rice, then it is not a meal in China. Steamed rice (米饭; mǐ fàn) is the symbol of fertility, luck and wealth. Chinese garlic chives (韭菜; jiǔ cài) symbolize eternity/long life. 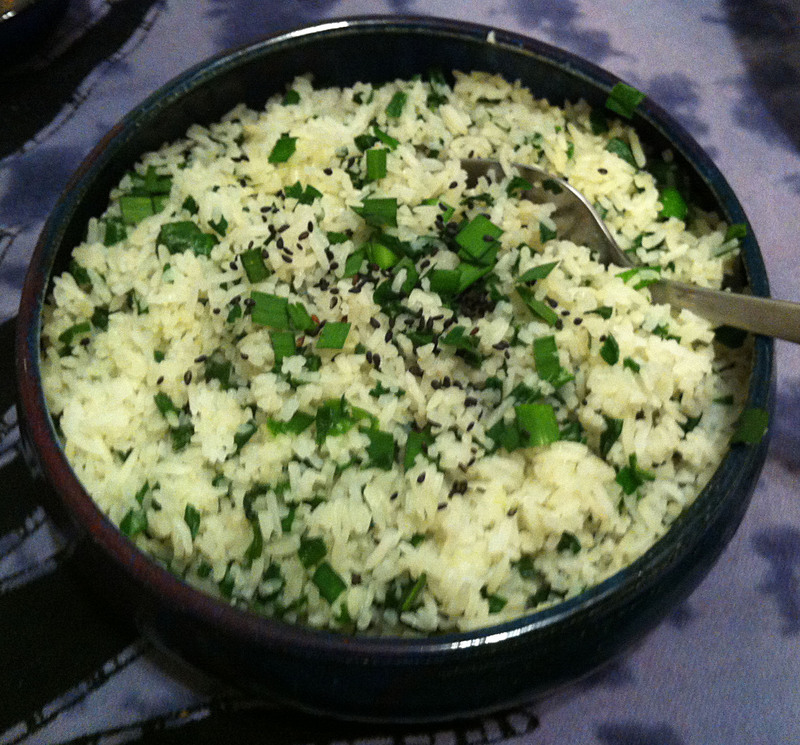 For a New Year’s meal, this rice dish is the hope for a long life and a prosperous year to come. I wanted to bring up my total number of dishes up to a lucky eight. 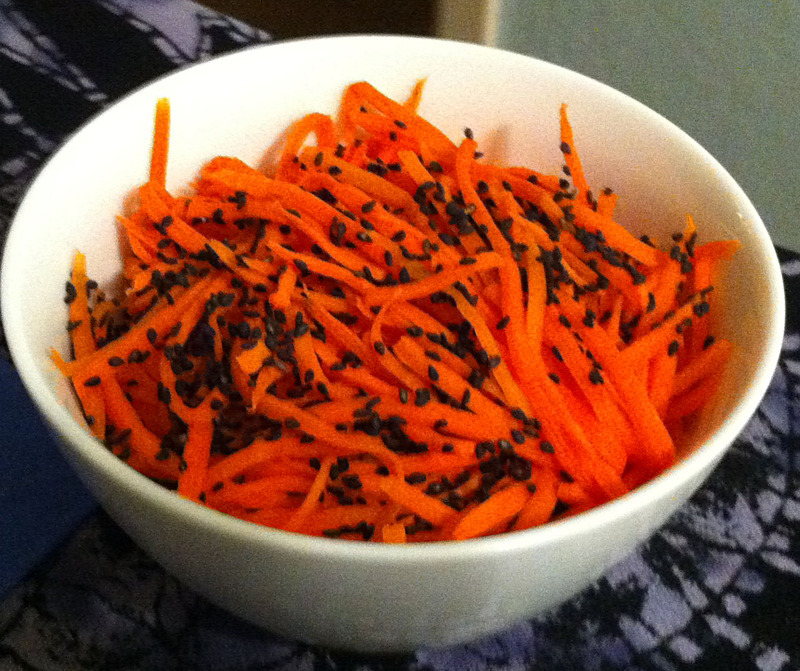 I decided to put out some pickled carrots that I made last night. 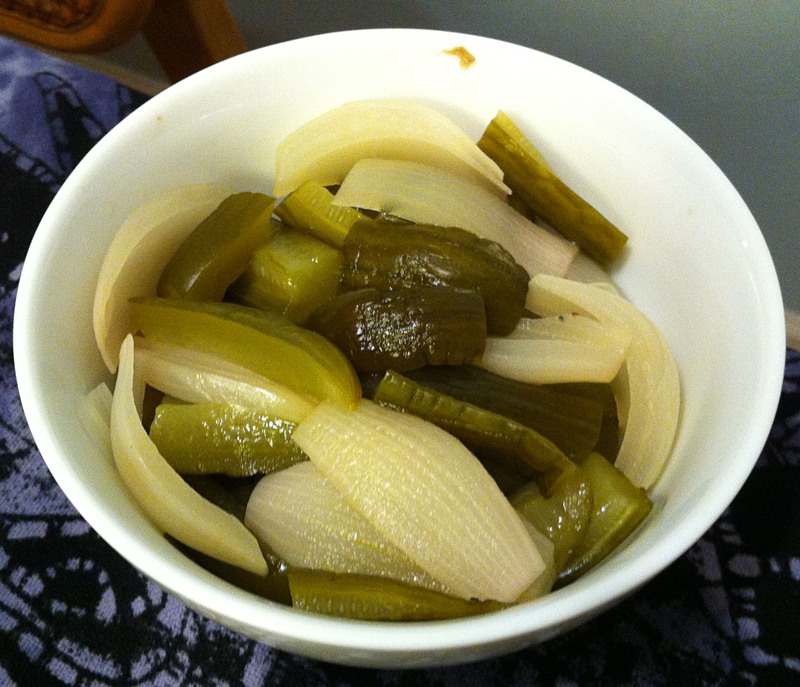 I also chose some pickled cucumbers and onions that I made a week ago that turned out very nicely. I am afraid that I was just being creative when I made these pickles and I did not write down what I did. I hope I have recreated my own recipe. My final dish is a whole steamed fish. Fish (魚; yú), is a homophone to 餘, which is “a surplus of money.” Serving a whole fish at the end of the meal symbolizes a wish for abundance in the coming year. 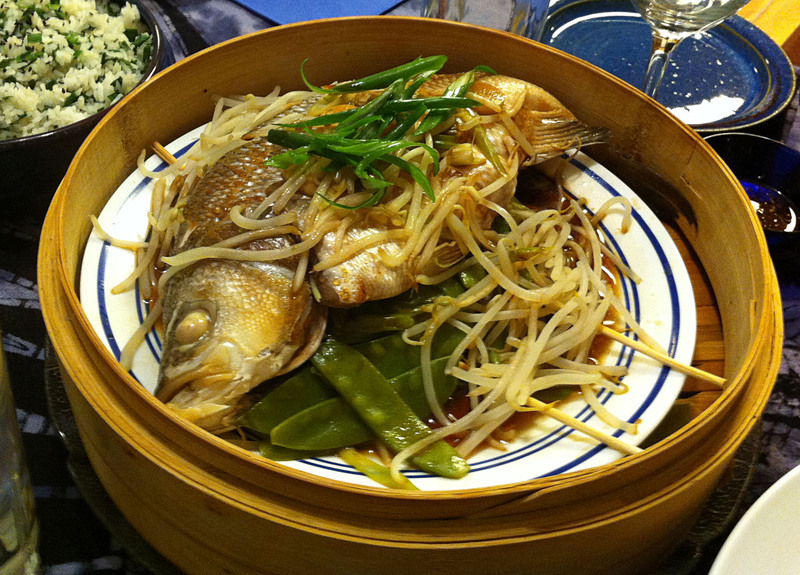 To add to the fish’s abundance, I will be stuffing it with onions (洋葱; yáng cōng) for cleverness, snow peas (荷蘭豆; hé lán dòu) for unity, and bean sprouts (豆芽; dòu yá) for a positive start to the New Year. After Dinner Note: This is one of those rare occasions where every dish was a winner. Everyone was full and happy by the end of dinner. They barely had room for dessert, which on my birthday is always chocolate mousse. Jan always makes me chocolate mousse instead of a cake for my birthday. For me Claudia’s Chocolate Mousse is the mousse by which all others are judged. It is however, not a health food. 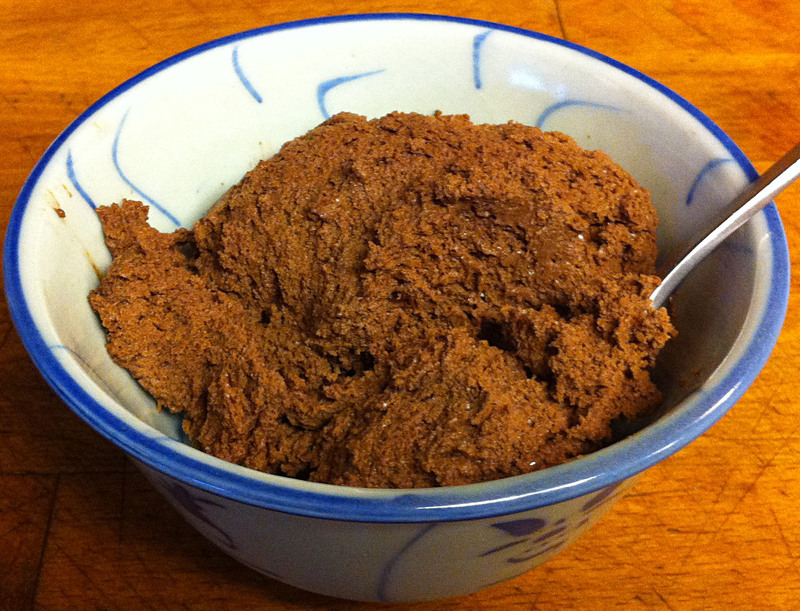 Jan has spent years perfecting the techniques of making my mother’s mousse, but she has not dared to tinker with the recipe. For this year’s birthday dinner, she made some variations to make it her own. I may just have a new favorite.